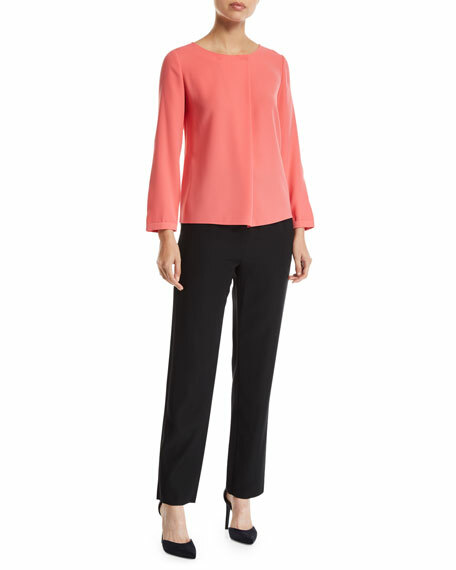 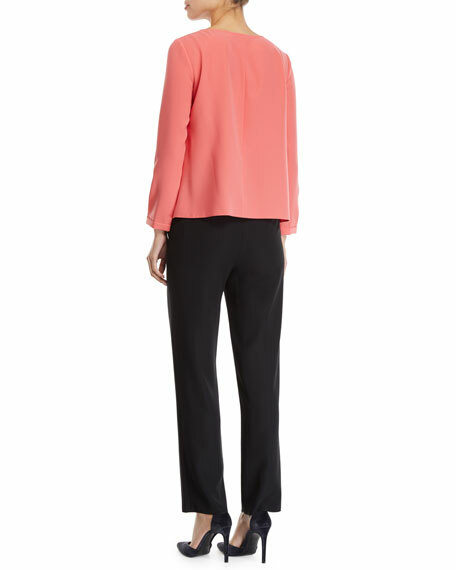 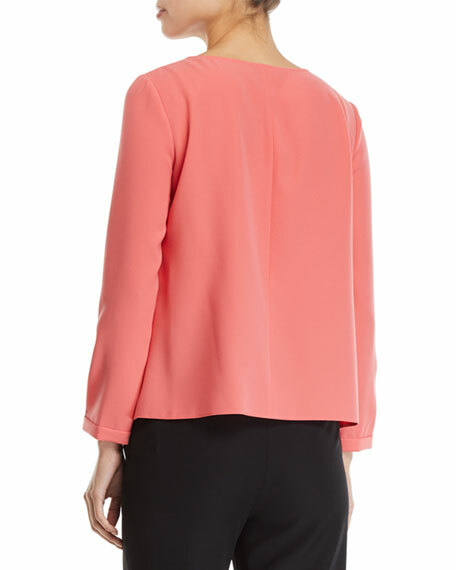 Emporio Armani evening blouse in technical cady. 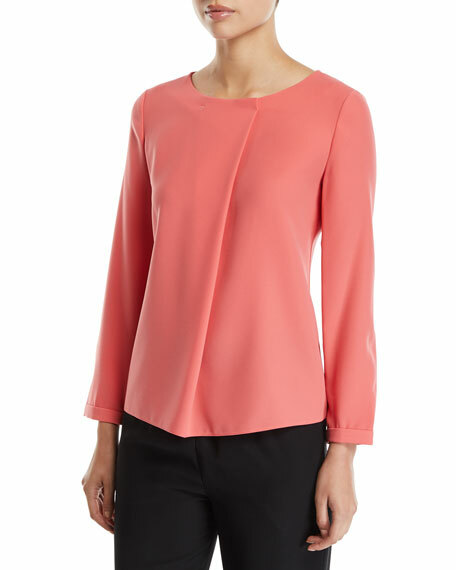 Crew neckline with box-pleat detail. 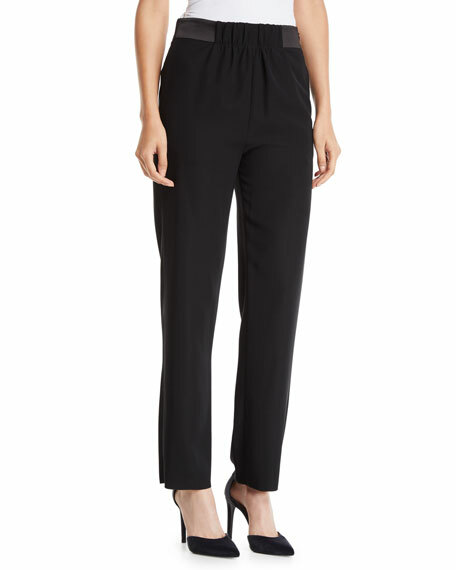 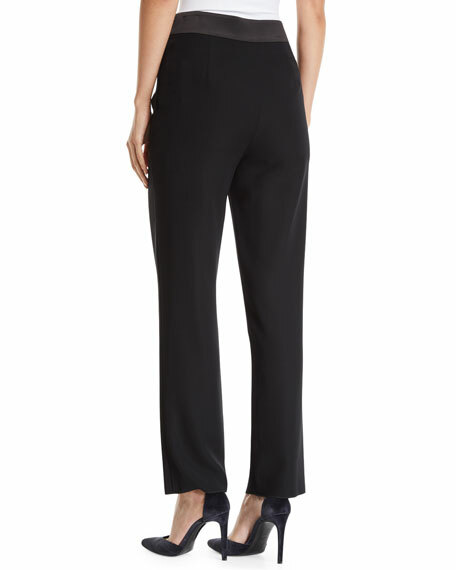 Emporio Armani pants in tech cady, featuring grosgrain waistband.